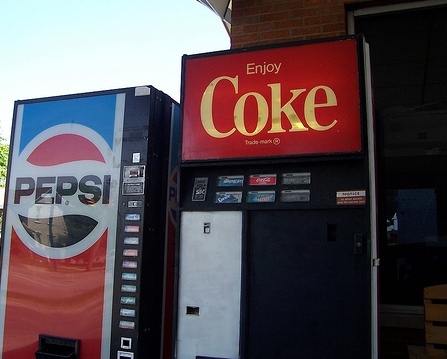 LLOPS » Lexis v. Westlaw: Coke v. Pepsi? Lexis v. Westlaw: Coke v. Pepsi? There are those of us who are merely curious about the subtle differences between caselaw research on Lexis and Westlaw, and then there are others who are fascinated, nay, obsessed by those differences. So much so that they spend hours pouring over results sets to analyze the differences. If you have the time and the inclination, I say go for it. If you do not, then I say take advantage of others’ scholarly pursuits. If you can get past the first sentence, then you’ll find some interesting tidbits in this article by Dennis Crouch about how coverage differs between the two systems. And then see if you can tell them apart in a blind search test.